For me, Fall is the best season for running. The heat of summer is gone, which means I don’t have to schedule my runs for 5am before the heat kicks in. Fall also means I don’t need to worry about the cold biting into me like it does when I run in January. But I feel like my running dilemmas are short lived when considered through the eyes of an ultra-marathoner like Chip Gosewisch. Chip Gosewisch knows what it’s like to go out for a long run. For Chip, a long run isn’t a marathon or even 30 miles. For Chip, a long run means going out and running 100 miles. You might wonder, as I did, how can someone possibly train for an ultra-marathon and not kill their knees in the process? Chip has written about the importance of cross training on the Arc in previous blog articles. Some of it can definitely be chalked up to good genes. However, as Chip discusses in this video, cross-training on the Cybex Arc Trainer is key to keeping both his body and his mind in shape. The reality is that most of us won’t start running ultra-marathons. However, in most sports stress injuries are commonly experienced. It’s great comfort knowing that Cybex’s Arc Trainer is there for cross training and training alike. 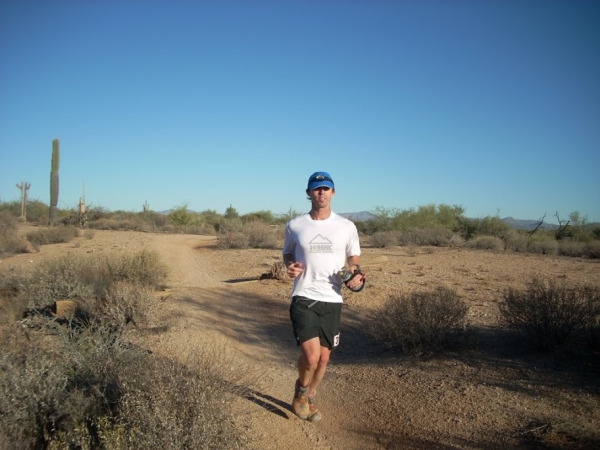 Chip Gosewisch is an ultra marathoner and Sports Conditioning Trainer at Fischer Sports in Phoenix, AZ. Chip explains how he uses the Cybex Arc Trainer for cross training as he prepares for 50 to 100 mile trail races.